As messy as SegWit activation was, it is actually one of most decentralized ways to activate something. Miners didnt force it through, devs didnt either and niether did social media or node operators. Everyone sort of got a say. You may be thinking, as I was, that after this segwit thing got activated that infamous August 1st deadline was irrelevant. 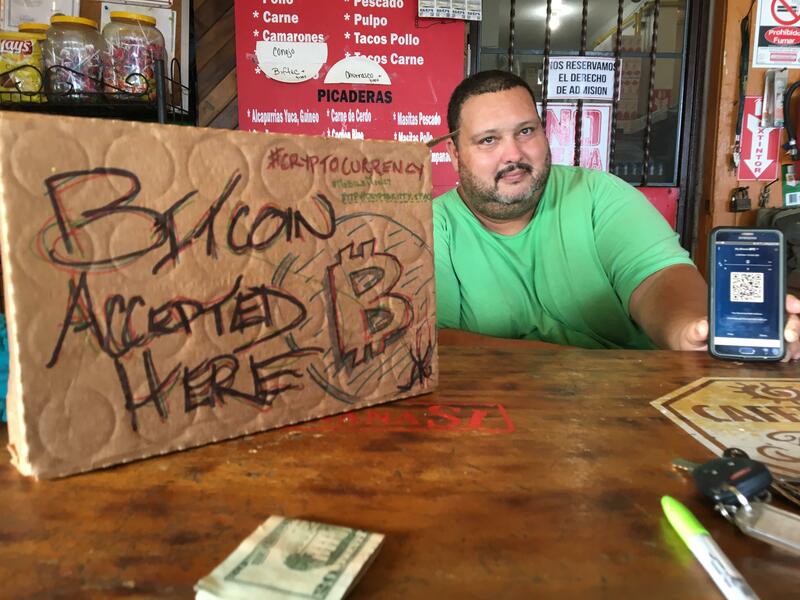 On August 1st, another group will be launching a new coin called Bitcoin Cash (BCC). When BCC launches on August 1st, it is being launched as a "fork" – meaning the private keys that exist for BTC will exist with BCC. So if you have 10 BTC in a wallet in BTC, you will also have 10 BTC in a wallet for BCC. Now it may seem like free money, but nobody knows whether on August 1st the combined sum of BCC and BTC will equal what BTC is now – or whether it will be more/less. Whatever happens, it is likely the price will be volatile through first few days of August. Now, why move out of an exchange like Coinbase? Exchanges own those private keys, and can decide whether their users will also own money in this new "fork". Coinbase has announced that they are NOT planning on support BCC. Of course, this could change – Coinbase and other exchanges, seeing that BCC has a lot of value, and not wanting to piss off customers who didn't realize/understand what is going on, could be "nice" – but they (arguably, rightfully so) don't want to always have to support every fork that some group wants to make from each currency they support. If you have only been using Coinbase and don't know how to set a private wallet up, here's a link with different ones you can use. TLDR; If you do not move your money to a wallet you control, you WILL (unless BCC goes to absolute $ 0 after Aug 1st) lose money. *EDIT – I just wrote a step by step guide on how to do this with Electrum; hopefully this helps someone! I predict an early activation. We are at 76.2% signalling. Next 336-block window starting at block 476448 in about 7 hours. All signs point to a smooth activation of SegWit. Miners overwhelmingly indicating intention to activate it via SegWit2X, UASF nodes steadily increasing. Huge majority of remaining nodes SegWit capable. Remaining nodes protected by SegWit’s backwards compatibility. I've been getting a lot worried and pessimistic comments on my posts lately but I have to believe that those are from very misinformed people or intentional trolls. 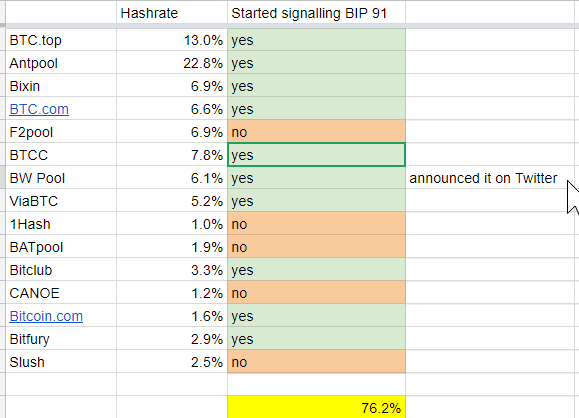 To see miner support go to the bottom of https://coin.dance/blocks and note that over 99% of blocks are either signalling for segwit already or have indicated they are on board with SegWit2X, meaning they will shortly begin to signal for segwit and reject blocks that don't signal for segwit. So it doesn't look like there will be any chain split that lasts more than one block given that overwhelming support, and those are totally normal splits that get reorganized away all the time. At https://uasf.saltylemon.org you will see that UASF nodes are steadily on the increase. These nodes will not diverge from SegWit2X miners if those miners simply follow through on their statements. At https://bitnodes.21.co/dashboard/ you can see that well over 80% of nodes are running Bitcoin 0.13 or higher which means that they will also activate SegWit natively when the rest of the network activates it. And of course 100% of nodes are going to continue to function fine because SegWit does not break legacy clients. Oh, and also transactions are all clearing quickly at very reasonable fees. Network uptime remains at 100% with no interruptions. It's almost as if sensationalist reports and alarmism get a disproportionately high share of voice. Garzik to Garzik2X: hashpower “means nothing”. Great! Forward with BIP148 SegWit activation! Should Bitcoin users take a leap of faith and try to force the activation of SegWit via BIP 148 UASF on August 1st? Reality Check: There is no hardfork code written/tested. Segwit is tested & deployed waiting activation. #UASF BIP148 can get us to activate segwit faster. Author adminPosted on May 19, 2017 Tags activate, activation., BIP148, check, Code, deployed, faster, Hardfork, Reality, SegWit, Tested, There, UASF, waiting, written/tested.